Diamond’s large library of proven SBC and I/O circuits enables us to quickly create custom solutions for many applications. By utilizing a proven design, the design cycle is greatly shortened, performance can be reliably predicted, and risk is significantly reduced. In addition, the supply chain and manufacturing and test methods are well established and reliable, leading to improved quality and lower startup costs as well as lower total cost of ownership. In each of these cases, we were able to offer the customer a short and low-risk development cycle backed by reliable and cost-effective ongoing production. In a few of these cases, the product lifecycle has exceeded 10 years. 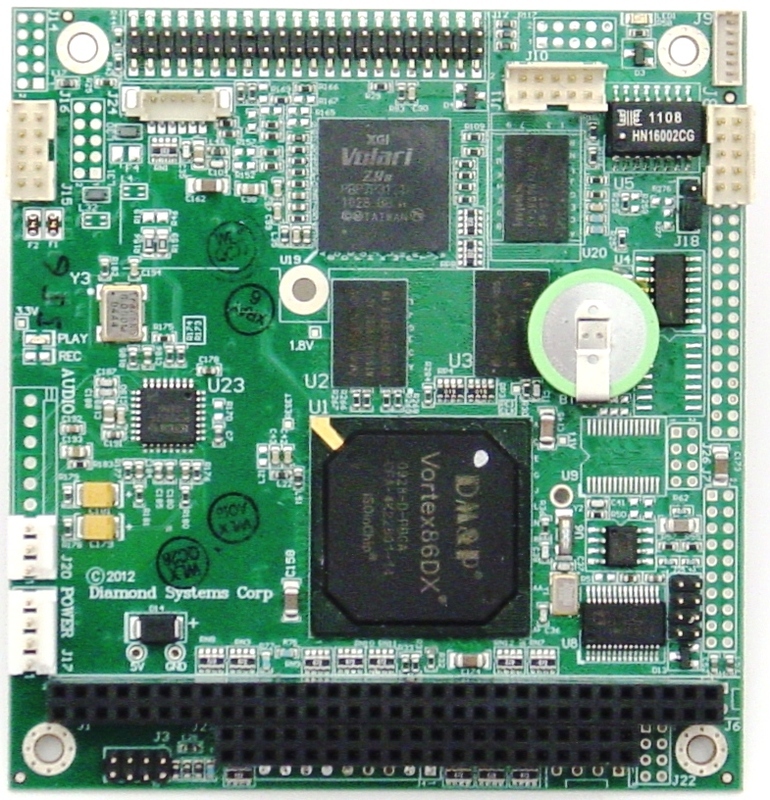 Our 2-in-1 single-board computers, such as Aries, Helix, Zeta, and Helios, can be used as the starting point for a custom SBC with your own I/O circuitry integrated directly on board. 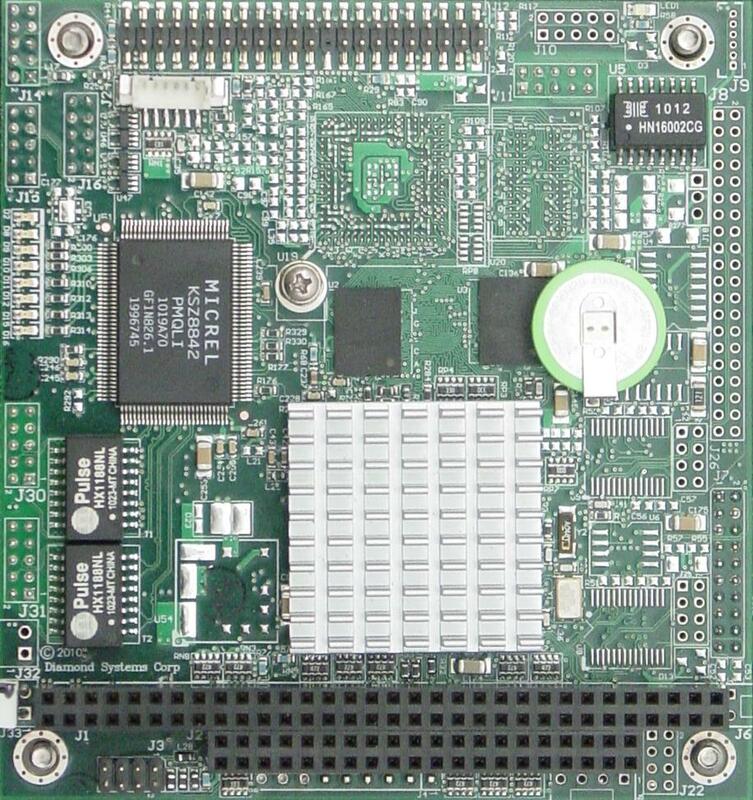 We remove our I/O circuitry and use the freed up space to insert yours. The core CPU circuit remains untouched, vastly simplifying the design effort and greatly reducing the possibility of error in the design process. This technique provides additional benefits of smaller total solution size, reduced assembly effort, and simplified supply chain. Two examples of this program are shown below. 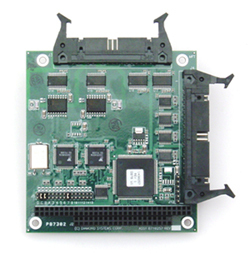 These examples were accomplished with our low-cost, compact Helios SBC, however the principle can be applied to any of our SBCs with onboard data acquisition. A manufacturer of medical laboratory instruments wanted to add audio functionality to their new product. We used the space for the data acquisition circuit on Helios to include a standard PC audio circuit derived from another Diamond SBC. The customer avoided having to use commercial style dongles which take up additional space, decrease reliability, and suffer unknown lon-term availability or consistency. A manufacturer of intelligent building energy management equipment wanted to daisy-chain intelligent light controllers throughout the ceilings of office buildings. 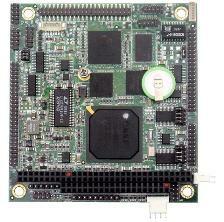 The light controller was again based on our Helios SBC due to the customer's need for economy, low power, and small size. The data acquisition circuit was replaced with a 3-port Ethernet switch, enabling the networking function to be implemented directly in the lighting controller without the need for costly and bulky external Ethernet switches or routers. In addition, unneeded components such as the video controller were removed to reduce power consumption and heat generation.